Today is my weekly posting for Inkspot, the blog for authors of Midnight Ink. I hope the visualization practice I share in this article will help my writer friends–as well as my students–to be more comfortable when they have to speak in front of a group or do anything else that makes them nervous. Check it out! Come visit Whole Life Yoga in Seattle, and check out Tracy Weber’s author page for information about the Downward Dog Mysteries series. A KILLER RETREAT and MURDER STRIKES A POSE are available at book sellers everywhere! This entry was posted in Meditation, writing and tagged inkspot, public speaking, visualization on April 27, 2015 by Tracy Weber. I wrote this blog article on New Year’s Day, but I couldn’t post it then because of my imminent book launch. Now, as we enter into spring—the season of dandelions—it feels perfect. I hope you enjoy it. I taught a good class today, but it wasn’t the class I had planned. Superficially, there were similarities to what I had plotted on paper. Quite a few of them, actually. But what makes my New Year’s Day class truly special has nothing to do with the poses. Not even the breath work. Meditation and ritual make the class unique. I was oddly troubled about this year’s class. I knew the “gift” I wanted to give to my students. I knew the flowers I would arrange and place on the altar. I drew out my sequence and printed out quotes. The day before class, hubby helped me lay out the mats and I lined up the candles. Superficially, I was ready, but something was missing. I’d pulled out my tried-and-true meditations about letting go of the past, but this year they didn’t ring true. I lay awake until well after one am New Year’s Day, still confounded. Eventually, I gave up, convinced that this year’s class would not be my best. New Year’s Day morning, I walked into the room, still feeling uneasy. I smiled at the twenty-five yogis that were waiting for me, and silently asked their forgiveness for what was sure to be a subpar experience. Then, as I walked toward my meditation rug, an image came to me: dandelion seeds. I can only believe that the ancients sent that image to me, because suddenly everything about my class made sense. What if we didn’t focus on leaving behind what didn’t work in 2014, but instead reconnected with everything that did? What if, instead of blowing out candles to get rid of the old, we symbolically shared it with the world, like a child sharing dandelion seeds with his neighbors? I tossed much of my plan aside and taught from my heart. Both of my meditations changed. I changed the breath work. I even changed the asana. The class that seemed heavy and sad became free and light—as did the energy of my students. They even applauded at the end, in spite of my glaring would-never-pass-yoga-court sequencing error. But then again, the sequencing wasn’t the point. I don’t even know why I feel compelled to write about this. Somehow it seems important to remind my teacher training graduates—and myself—to trust in the teachings and be open to what comes. Sometimes a class plan that worked brilliantly before simply isn’t right. Sometimes the right plan lies just buried in your subconscious. There was power in that practice. Seeds of hope that we will carry forward and share with our worlds. What seeds will you plant this spring? This entry was posted in Meditation, Teaching Yoga, Viniyoga and tagged meditation, new years day on April 20, 2015 by Tracy Weber. It’s been a tough year for me thus far. A year filled with challenges, some of which I’ve spoken about on social media, many of which I have not. In February, I lost a pet exactly a week after it was diagnosed with an aggressive cancer. A close relative is fighting the same challenging illness. My husband’s job remains in limbo, and my own business is struggling. Writing is…. Well, let’s just say writing can be a tough business, even in the best of times. On Tuesday, a vet who I adore delivered a harsh diagnosis for my beloved dog, Tasha. I think she’s wrong. I pray she’s wrong. I need her to be wrong. Still, according to the vet, “All we can do is wait and see.” Basically, if we have to put my dog down in six months due to a progressive paralysis, the vet will have been right. If not, hopefully we have another good year or two. Usually, I’m pretty resilient—like a Weebles doll that wobbles but never falls down. These days, I feel more like a mosquito standing at the end of line of Dominoes, about to be crushed by forces over which I have no control. Truth is, I think I’m simply drained. There’s not enough helium left in my happy balloon to lift me up anymore. Then, just when I was about to give in to depression, the universe gave me a sign. I attended a book signing for my mystery series this afternoon. I usually love any opportunity to chat about my work, but today I would much rather have hid in the corner. I simply didn’t have the energy to make lighthearted small talk with strangers, no matter how much I loved the subject. I browsed around the book store, pretending to look for a book, when I stumbled across the stone pictured at the top of this article. Literally staring at me from an otherwise empty windowsill. I wish I could say that seeing that rock filled me with a lighthearted joy. That it changed my attitude in some distinctly measureable way. The truth is, as I picked it up and hefted its weight in my hands, only one clear thought went through my mind. This would make a pretty good murder weapon. What do you expect? I am a crime writer, after all. Still, I carried that heavy, gray, yet somehow powerful stone to the register, paid for it, and brought it home with me to serve as a reminder. Hope isn’t a gift. It’s not always pretty. Sometimes it refuses to show itself, except when you least expect it. Yet it’s always there waiting for you, if you’re willing to grasp it. Namaste my students, my family, my friends, my loves. 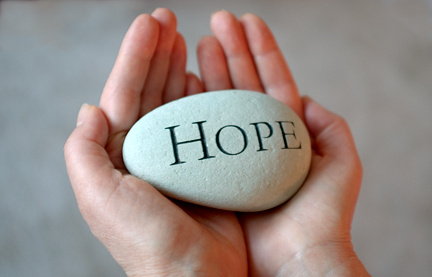 May you all stumble across hope when you need it the most. This entry was posted in dogs, Downward Dog Mysteries, Gratitude, writing on April 13, 2015 by Tracy Weber. Until I started writing, I had no idea how important reader support is, nor did I know the many simple ways readers can help. In honor of Valentine’s Day, I decided to post an idea every day the month of February about how readers could show their favorite authors some love. It turned out that 28 days wasn’t nearly enough! So I expanded it to a “50 ways to love your author” theme. With a few bonuses! Below are the ideas I came up with. Most of them are quick, free, and almost painless! What would you add? Day 1: Add your favorite author’s books to your Goodreads bookshelves. “Shelving” your favorite books gives them more visibility to other readers. Goodreads even has a way to automatically add the books you purchased on Amazon! Day 2: Write a short (1 – 2 sentences are great!) honest review of your favorite author’s book(s) and post it on Amazon. Love Amazon or hate them, they are a key player in book sales, and reviews help your favorite authors rank higher in the search engines. Some promotional opportunities are only available to authors if they have a certain number of reviews. Day 3: Tell them you love them! Most of the authors I know make essentially no money on their writing. (Sad, but true!) So why do we write? For our readers! Drop your favorite author a line and tell them you appreciate their work. Facebook message, e-mail, a tweet with their hashtag. Believe me, you will make their day! Day 4: Tell a librarian about their work! Librarians are in the business of matching readers with work they will love, but they can’t read everything. Tell them about your favorite author’s work and what you love about it. Point out the cover if it’s already on the shelves. The more a librarian knows about a book, the more likely they are to recommend it to patrons that might enjoy it. Day 6: Enter a Goodreads giveaway for their books! Many authors create Goodreads giveaways to help build the brand awareness and generate some reviews for their books. Entering the giveaway does a number of things: Gets the book on your shelves (which gives it exposure); makes the book more popular in the giveaway (which gives it exposure); perhaps scores you a free book that you can keep for yourself or give to a friend(which gives it exposure)! A triple win, all with a few simple mouse clicks! Day 7: Leave a comment on one of their blog posts! Comments help the post show up higher in search engines and let your favorite author know that that people are reading their posts. Blogging can feel like shouting out in a canyon. Let your voice echo back! Day 8: Buy their books! This may seem obvious, and I know not everyone can buy all of the books that they read. However, if you really like an author, purchase their books rather than borrow them. Publishers drop series that don’t sell well, so the best way to help ensure you’ll see your favorite author’s next book is to buy it. If you’re on a limited budget, save up for the books you really like. Your purchase helps ensure that there will be a next book in the series! Day 9: Share their successes! Authors rely heavily these days on social media to spread the word about their work. Help them spread their reach! When your favorite author has something to brag about, share it with your Facebook friends! Day 10: Invite them to come to your book group! Whether it’s in person or via Skype, it’s always fun to chat about your work with readers. Many authors I know (including me!) would be delighted to meet with a book club to discuss their work, writing, maybe even the meaning of life. You’ll never know if your author is available unless you ask. Even the asking gives the author an often-needed boost! Day 11: Send them a photo of their books! See your favorite author’s book in a library or bookstore? Pull out that smart phone and send them a picture. Believe me, nothing makes a writer’s heart sing like seeing their work out in the world. And don’t forget to post that same photo on your social media pages! Day 13: Preorder their book! Does your favorite author have a book coming out in a few months? Don’t wait until launch day to get it, preorder it! Bookstores LOVE preorders. They are more likely to order extra copies of a book that they know already has fans waiting to buy it, meaning there will be more copies of the book on the shelf, which means greater visibility, which means greater sales, which means… Well, you get the idea. Plus, you get bragging rights for being the first kid on the block who owns it! Day 14: Share their Facebook Posts. Facebook is a funny creature. It chooses what to show based on popularity of posts and, in the case of author pages, how much the author pays to have it seen. On an author page, unless the post is shared, liked, and otherwise loved, Facebook may only show it to 1% of the fans of the page! Don’t let your favorite author yell in a vacuum or spend all of their Valentine’s candy money to get their message out! Share liberally anything you see from them that tickles your fancy! Day 16: Point out their books at your local bookstore. Maybe your local bookstore carries their books, maybe it doesn’t. But booksellers aren’t always familiar with all of the books they carry. Lord knows, they certainly can’t read them all! The next time you’re at a book store, talk up your favorite author with one of the employees. Point out the cover. Tell them what you love. You might just provide the information that helps that employee connect a future customer with your favorite author’s work! Day 17: Tweet your heart out! I have to confess—I’m a Twidiot. I send out a Tweet every now and again, and I can retweet with the best of them, but I still need to learn more about this tool to use it effectively. Particularly if your favorite author is a YA author, Twitter is crucial to their success. So, Tweet about them! Tweet links to their “buy” sites, links to their author pages, or anything else you think your followers would like. Day 18: Talk about them in Facebook groups. Your favorite author’s genre likely has fan groups on Goodreads, and they are the perfect hangout spot to talk up your author with people who won’t roll their eyes and start snoring. Share what you like about their recent work and browse other threads to discover new favorites. You might even make a new friend or two! Day 19: Tell your friends and family about their books. We all get so hung up on social media that we forget we have real live people that we talk to every day. Word of mouth is one of the best ways to sell books, and when it comes in the form of a smiling face, it works even better. If you contact your favorite author, she may be willing to send you bookmarks or other promotional material to give out. (I know I am!) Go forth and talk about books! Day 20: Shelf their books on Shelfari! I have to admit, this is a tool I’ve only played with, but it’s a goldmine of information for readers. Books listed can have everything from character descriptions, to parent notes, to plot synopses, to reviews. And I haven’t even looked at the groups yet. Check it out! Day 22: Show them how much you love their work by creating a photo collage on Polyvore! I have to admit, I’d never heard of Polyvore until a reader sent me an image about my series that she created on Polyvore. It was so cool! Day 24: Ask your local library to carry their books. Library systems vary greatly in budgets and ability to act on patron requests, but you never know until you try! Sometimes all it takes is a single request for a book to get placed in the ordering system. And even if your library can’t carry THIS book, you’ll have put your favorite author on their radar screen for the next time they order. Just think, you may be introducing your favorite author to dozens of readers by requesting a single book! Day 25: Recommend their book to your book club. If you belong to a book club, why not have the club read one of their books? Book clubs are fun because then not only do people read your favorite author, but it gives you the perfect opportunity to gush about their work in a socially acceptable format. And don’t we all love to gush about authors we love? Day 26: Pin their cover on Pinterest. I have looked at Pinterest a couple of times, but I’m not a user. (And from what I hear, it’s pretty addictive, so “user” is the right word.) Why not create a board on Favorite Books, or “To-Die-For Reads” and fill it with your favorite authors work? Let their covers help you do the talking! Day 27: Click on “get notifications.” Facebook algorithms are tricky beasts, likely to never even present a post for your viewing pleasure. If you want to see what your favorite author has to say, click on “get notifications” from them, and ask your friends to click on “get notifications” from you. That way you won’t miss out on your favorite author’s most brilliant posts, and when you share them with your friends, Facebook is likely to actually show them! Day 28: Write about their work in a blog article. This one takes more effort than the tips I’ve posted so far, but you bloggers are always looking for something great to write about, right? How about your favorite author’s work? Don’t have a review blog? No problem! 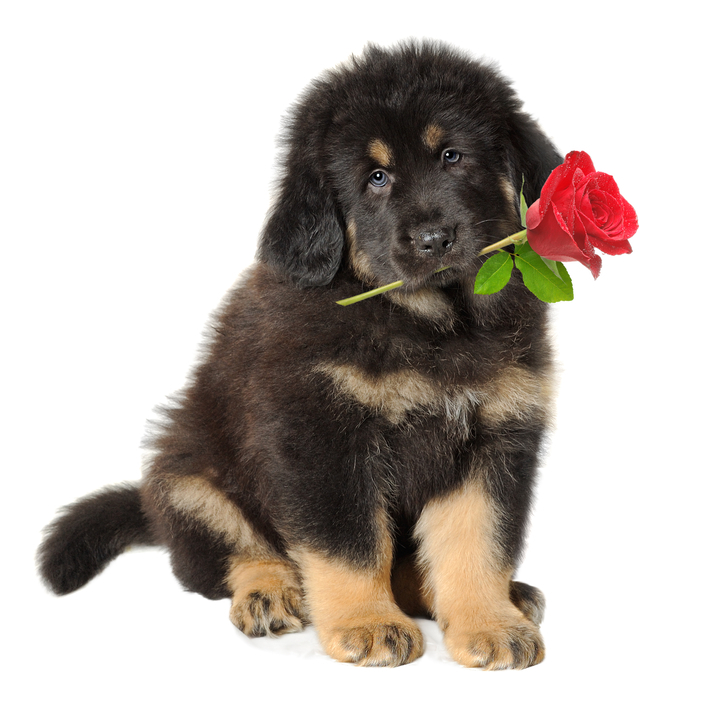 If you’re a dog buff, write about your favorite dog writer in a dog training blog. Like knitting? There are lots of knitting cozies. History buff? There’s a TON of historical fiction out there. Use your imagination! Day 30: Talk about their work in Goodreads groups. Goodreads groups exist for almost every genre, and then some! It is generally frowned upon for authors to chat up their own work, but members usually love it when fans chat about their favorite authors. (After all, that’s the whole point of the groups!) I belong to several great cozy groups, a dog writing group, and a yoga one, but groups exist for every genre. Even better, the people who hang out in these groups are likely the very readers who would most enjoy discovering new authors! Day 31: Attend their Facebook launch parties. Don’t live anywhere near your favorite author? That’s no reason to miss out on the fun of their newest book launch! May authors host “virtual” launch parties in which they share excerpts, answer questions, and give away prizes. I had one for my Launch of A KILLER RETREAT and it was a blast! Attending and commenting can take as little as a couple of minutes, but it shows your author she’s not alone in her journey. And you might come out of the experience with some great book swag! Day 32: Think outside of the bookstore. Does your favorite author have a hook you can help them exploit? Love their knitting mysteries? Talk them up at a yarn shop. Devour dog mysteries? Maybe your favorite dog trainer would like it. Practice yoga? Why not talk it up in your next yoga class? Many of the people who would love your favorite author’s work won’t look for it in the mystery section of your local bookstore. If you’re really passionate about sharing, ask your favorite author to mail you some bookmarks or post cards to share with your friends! Day 34: Follow their blog. Most writers I know write for at least one blog. (I write for three!) We often wonder amongst ourselves is anyone ever reads them. One measure of whether or not our blogs are reaching our audience is to see how many “Followers” we have. Mark your vote for your favorite author’s blogging by following them! Their blog site likely has a simple and easy way to join. Day 35: Comment on their Facebook posts. Commenting on posts has two great benefits for your favorite author. First, it proves to them that people are, indeed, reading their posts. Second, the more people who comment, the more people Facebook will show it to. Two great perks for your favorite author from typing a few words. Can’t get much easier than that! Day 36: Give their book as a gift. Wouldn’t your favorite author’s book look great nestled up in an Easter basket? How about birthdays? Get well gifts? Mothers or Fathers Day? Any occasion you want to show your love to someone, you can double your goodwill. If you really want to make your favorite author’s day, send them a picture of the recipient and the book. That way your love can go even farther! Day 37: Write review on Goodreads. Goodreads is a fabulous social media platform for readers to share everything they love—and don’t love—about books. A rating on Goodreads is awesome, but a review adds considerably more punch. And you can post the same review to Goodreads that you wrote on Amazon on day 2. Two demonstrations of love with one effort! Day 38: Ask your neighborhood book store to carry their books. Depending on which source you believe, there are between 1600 and 2700 new books published every DAY in the US alone. Your favorite bookstore can’t carry all of them or even keep up with the new titles. So nudge them in your favorite author’s direction. That recommendation from you may be the foot that gets them in the proverbial door with that bookstore! Day 39: Say hi to them at a conference! There are fan conferences worldwide at which authors and their fans can gather, learn from each other, and basically have a good time. If you attend a panel with your favorite author or see them schmoozing at the bar, go up and say hi! Trust me, it’s not an intrusion. Nothing is better than knowing someone appreciates your work! If you’ll be at Left Coast Crime this weekend, I’d love to meet you! Day 40: Add them to your circles on Google Plus! I have to admit, I’m not a Google Plus user, but many authors are, and it’s a “circle” of friends that may not already know about their next favorite author! Share news about your author to your circles, and invite your favorite author to join you. Any way you can connect is nothing but goodness! Day 43: Donate their books to fundraisers. Trying to come up with a good auction item for your favorite charity? How about a gift basket with some of your favorite books? If you contact your author, they may even be willing to send you some cool swag to put with it. Autographed bookmarks, bookplates….I know some authors that hand make really cool bookmarks and book related jewelry! You’ll support your author by gifting their books to the charity, help a favorite cause, expose others to your author’s work, and get a tax write off all in one. It doesn’t get much better than that! Day 44: Vote for them in Facebook contests. Every now and them a Facebook contest shows up in which readers vote for their favorite books. The Three Bookateers is one that happens every year around January, but I’m sure there are others. Check and see if your favorite author is already nominated. If so, vote for them. If not, add them to the appropriate category. James Haviland was my greatest cheerleader this year, and I will never forget it! It made me feel terrific! Day 45: Let them know when you see articles about their book. See a positive review of your favorite author’s work on a website or in a newspaper? Stumble across an article about their work? Let them know, with a link, if possible. Your favorite author may not have any idea the article exists, and learning about it may well make their day! Day 46: Use your connections. We’re all six degrees of separation from someone famous. (Or, in my case, infamous.) Maybe one of them can help your favorite author! I just got a call from my biggest fan (Yes, she also happens to be my mother.) 😉 Unbeknownst to me, her husband knows someone who owns a radio station, and they are going to plug my series this weekend as part of my Billings events. I never could have gotten that free publicity on my own. Who do you know who might want to help your favorite author? Day 47: Add them to lists on Listopia. Goodreads has a cool feature called Listopia. It’s basically a way for readers to “group” books and vote on them. And you can create your own lists! I just took a quick look, and the newest lists created today include “Books about Head Coverings,” “Books on Indian Cricket,” and “Scariest Fiction Novels Ever.” Find the lists that contain your author’s works and vote for them. (You can see this on their individual book pages under the “Lists with this Book” section.) Even consider creating your own. You’ll have fun and help your favorite author in the process! Day 48: Write a review on Barnes and Noble. Reviews on Amazon are huge for writers. So huge, we often forget about B&N. Did you know that the same 1 – 2 sentence review you post on Amazon can be cross posted to B&N? Double the love for almost zero extra effort! You’ll help your favorite author get discovered by a whole new audience of readers! Day 49: Ask your local library to invite the author for a reading. We authors LOVE to talk about our work with readers. Readers are, after all, what make our work come alive! And why should library patrons miss out? If your favorite author lives in your region, as your library to invite them in for a book discussion. You’ll get to hang out with them in person and introduce other library patrons to their work! Day 50: Ask your favorite store (book, grocery or drugstore) add a dedicated ‘local author shelf to their books and magazines section. It will highlight the many fabulous local authors, including your favorite, if they’re form your area! Bonus Day! Day 51: Talk about them in The Reading Room. The Reading Room is a cool new (at least to me!) social media site whose stated goal is “Connecting Books and People.” It has places for reviews, recommendations, and member hangouts and conversations. Check it out, and while you’re there, mention your favorite author and their books! Bonus Day! Day 52: Tell your Facebook groups what you’re reading! Reading-related Facebook groups often ask what you’re reading at that moment. Post a comment with the title and author, and tag the author if you can. That way if someone double clicks the author’s name it will take them to their Facebook page. Easy and a way to build your connection with your groups while giving your favorite author a high five! Bonus Day! Day 53: Think beyond the book. Authors are thrilled when they know book groups are talking about their work, but why should that be the only place? There’s a Facebook group for just about every topic these days. Does your favorite author write about mountain climbing? There’s a climbers group out there somewhere that would love learning about. Do they write knitting mysteries? How about groups that discuss crafts? You get the idea. You’ll be spreading your favorite authors work out to a much broader circle and talking about your favorite hobbies or loves at the same time! Bonus Day! Day 54: Invite them to speak at non-writing events! At a recent signing, one of my fabulous readers asked me to speak at a women’s networking event. They’re giving out my books as prizes and I’ll have a chance to tell about 40 professional women about my journey from being an executive to teaching yoga and writing. Are there similar events that might connect your favorite author with new readers? Invite them to come. You never know what might happen and you demonstrate your love just by asking! Bonus Day! Day 55: Be sneaky! A friend and loyal reader of mine is doing a presentation on anatomy of yoga this weekend. She snuck a photo of my book in with the skeletons. How cool is that? Are there ways you can sneak in a photo of your favorite author’s work in other projects? Maybe a word play on their title? Have fun with it. And if you use a photo, be sure to send it to them. It will make their day! Bonus Day! Day 57: Review their work on BookLikes! I’m not a user of BookLikes, but many of my readers are. It’s a forum where you can blog, review, discuss, and learn about books. Check it out and write up a quick review for your favorite author. It might make their day! Bonus Day! Day 58: Discuss their work in a Shelfari group! Shelfari is another reading social network platform I’m not super familiar with, but it has groups on almost every topic. From zombies, to mysteries, to nonfiction, to creating a new life. Who knows what wonderful readers you have yet to meet? Maybe some of them will love hearing about your favorite author! Well, that’s it! At least that’s what I thought of. I sure there are many, many ideas I missed. Please add them in the comments below. And be sure to check out my facebook pages daily starting on April 15, when I will start a “30 ways to show your readers some love” for authors. Thanks for reading! This entry was posted in Gratitude, writing and tagged A Killer Retreat, blog tour, Cozy, cozy mysteries, cozy mystery, dog mystery, downward dog mysteries, gratitude, Karma can be Killer, Murder Strikes a Pose, writing on April 6, 2015 by Tracy Weber.